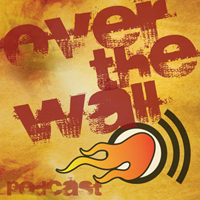 “Over the Wall” is RubbingsRacing.com’s flagship show, hosted by Christopher Smith. It is a one-on-one feature show that interviews NASCAR celebrities and others involved in the world of NASCAR. Guest list include many notable people in the world of NASCAR. 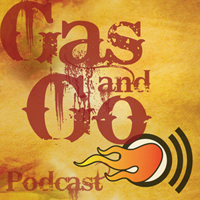 “Gas and Go” is the shortened version of our flagship show, “Over the Wall”. It is a one-on-one feature show that interviews NASCAR celebrities and others involved with everything going on in the world of NASCAR. “Gas and Go” is also hosted by Christopher Smith. Occasionally this program is used for breaking news or opinions regarding a specific topic that may be happening in NASCAR on a particular week. 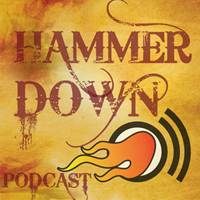 “Hammer Down” is a weekly race recap podcast hosted by Toby Christie with co-host Buddy Christie. It is an in-depth breakdown of what happen in the latest Sprint Cup race as well as a discussion of the top 5 hottest topics going on in NASCAR at the moment. Originally named “The Burning Rubber” Podcast (starting in 2009) it moved its new home at RubbingsRacing.com in 2010 and was renamed. 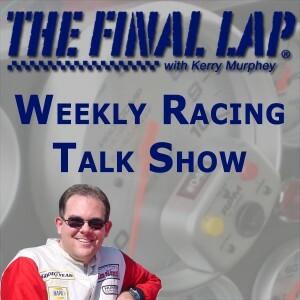 The Final Lap Chat – A weekly, long form, talk show format, where a couple of guys just talk some racin’. Lively discussions from everything in the world of motorsports. Weekly headlines, rumors, race recaps, previews, interviews and more. Hosted by Kerry Murphey and Paul Northrop of FinalLapRadio.com–Thanks for listening! 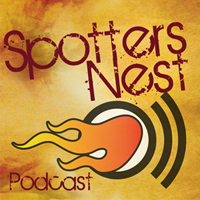 The “Spotters Nest” is a unique one-on-one interview into the world of the spotter. Each episode has a different spotter talking about the unique qualities of each track as well as all of the other items that a spotter is responsible for during the week as well as on race weekend. Hosted by Dave Thompson, this is a great show that provides content found nowhere else.